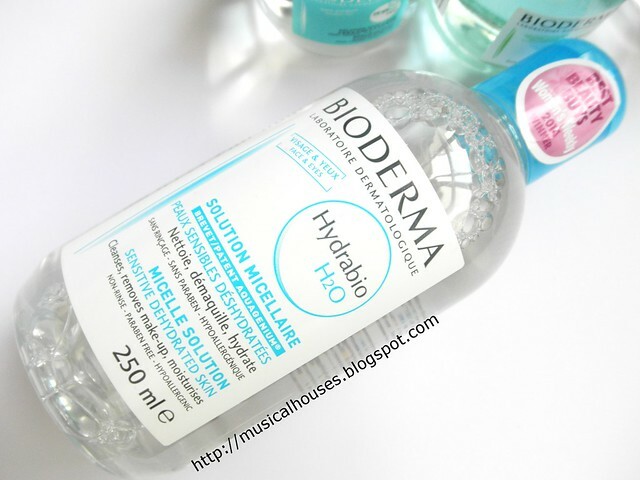 Bioderma's Sensibio H2O micellar cleanser is one of the more popular cleansing waters around, but did you know that Bioderma's H2Ocleanser range also includes other related products? I didn't know this, but apparently there is also Sebium, Hydrabio, and ABCDerm. 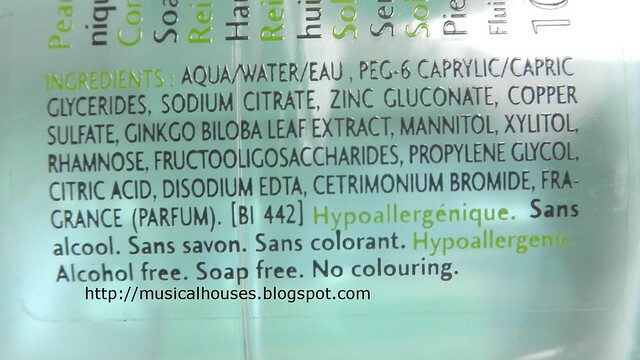 Sebium is for oily skin, while Hydrabio is for dry skin, and ABCDerm? It's actually for babies. 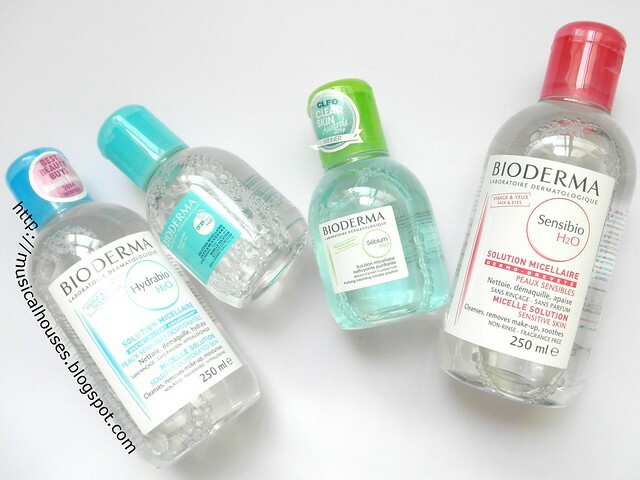 So there you go - basically a Bioderma for every need, beyond the classic Sensibio! I know you're probably looking at the clear, simple-looking plastic bottles of watery-looking liquid, and probably wondering: is there any difference between the two? Which one should I actually buy? And truth be told, it's a reasonable question to ask - after all, all of the liquids in the various bottles look like water (if you don't count the tint in the Sebium version) and feel like water, and to the eye, there is no discernible difference. But of course, if you're like me, then you know the best place to start with such an examination: the ingredients list! Yes, this is going to be one of those ingredients analysis pots with all my geekery. But I thought before I do that, I thought I would answer the question: Why is a micellar cleanser called a micellar cleanser? What is a micelle anyway? Is it just a different name for the same old thing? So with that - let's recall something from our old school days: emulsions! If you can't remember, let's start at the basics. Oil and water do not mix (a simple experiment which you can verify at home). As far as skincare is concerned, this can pose a problem if you're trying to formulate, say, a face cream - you need something to mix your oil-soluble and water-soluble ingredients together. So what do you add? You can add an emulsifier or a surfactant. A surfactant molecule has a "head" that is hydrophilic, or water-loving. This means it is attracted to water. On the other end of the surfactant molecule is a "tail" that is hydrophobic, or scared-of-water. This means that instead of being attracted to water, it is attracted to oil instead. As you can see, that is a pictoral representation of the head and tail of a surfactant molecule, and the ball on the right is a micelle. But how do you get from a surfactant molecule to a micelle? And what's a micelle anyway? Turns out, depending on various factors, when you add surfactant to an oil and water and mix, the surfactant molecules' heads will be attracted to the water, while the tails will be attracted to the oil phase. This results in oil phase being broken up into little droplets, to which the surfactant tails cling. 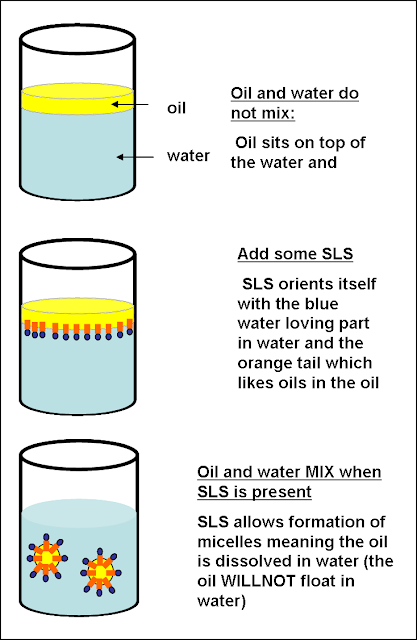 And the oil is dispersed in water because the surfactant heads are attracted to the water. So the hydrophilic heads align with the water, the hydrophobic tails align with the oil, and the oil forms little droplets suspended in water - and voila, an emulsion forms! You can see a pictoral representation of a little drop of oil suspended in water below. This is pretty useful when it comes to all sorts of applications - cleansers, face creams, body lotions, anything! Basically, surfactants and emulsifiers help oil and water to mix, and by doing so, allow you to dissolve your oil-soluble ingredients in oil, your water-soluble ingredients in water, and combine the two! You can see below an example, using SLS in shampoos, but you could use another emulsifier to achieve these little micelles. In the context of cleansers, surfactants aren't so much used to mix oil and water, but they are useful in terms of removing oil from your skin. In this case, the hydrophobic tails are attracted to the oil and dirt on your face, while the hydrophilic heads are attracted to the water - and when you wash your face, the hydrophilic heads (together with the hydrophobic tails that are holding on to the oils in your skin) are all washed away. So what's with the name "micelles" anyway? Turns out, this has more to do with the particle size in the emulsion. A macroemulsion has particle sizes of >1000 nm, a microemulsion has particle sizes of 10 – 300 nm, micelles have particle sizes of 5 – 10 nm, and a solution has particle sizes of <5 nm (in other words, so small that the solution is clear, unlike the emulsion which may be cloudy). So technically, when all the brands are touting their "micellar cleanser" what they are really saying is "my surfactant-based cleanser of tiny particle sizes". So it's a useful concept for a cleanser, yes, but the science behind emulsions, surfactants and micelles is so well-established that it isn't anything groundbreaking. Either way, it's all based on surfactants. 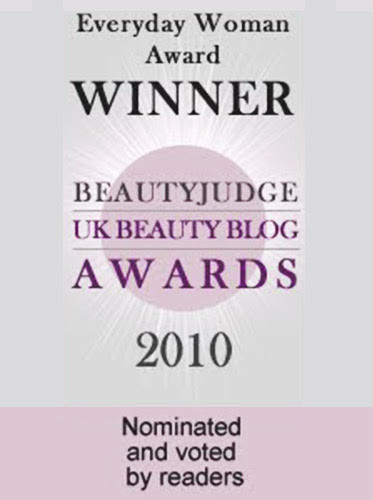 The thing that micellar cleansers have that is unique is their appearance - the surfactants are chosen so that the product is formulated to have the look and feel of water, rather than a gel or cream. So now that you know what a micelle cleanser is, you're wondering, how well does Bioderma's version work? 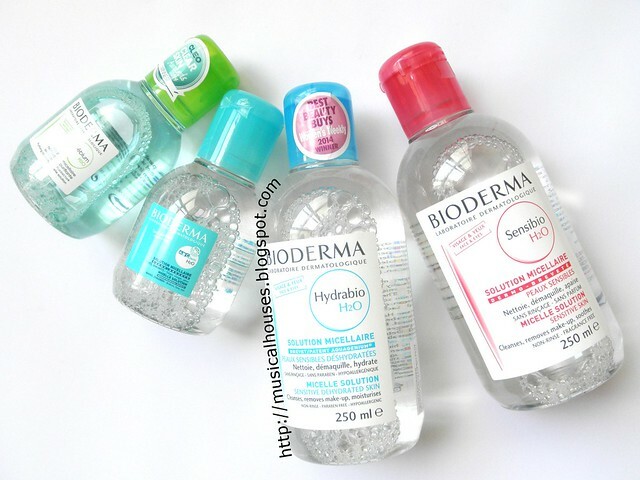 I'm actually a huge fan of Bioderma's cleansers, and they were my top scorer in my blind test of 7 different micellar cleanser brands, including Dior, Avene, and so on. So yes, I can vouch for its effectiveness, having tried it before myself! But I think besides that, I should answer the ever-pertinent question of whether there is a difference between the various Bioderma cleansing water versions, and if there is, what the difference is. And this is where the ingredients list comes in handy. 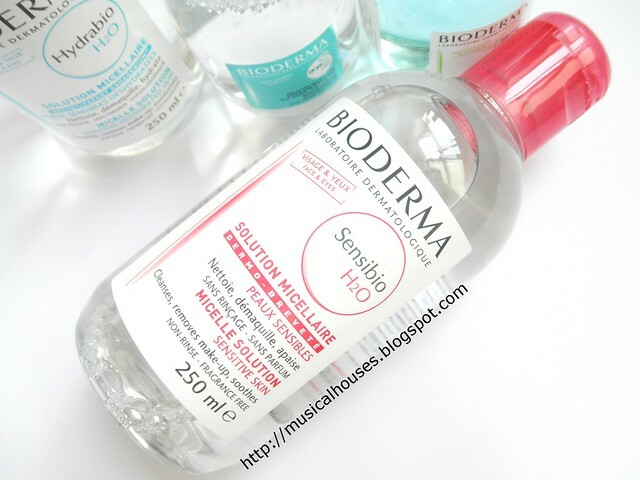 First, in order for us to get a point of comparison, let's take a look at the original Bioderma Sensibio, which is one of my favourites, and is meant as a cleanser/makeup remover for sensitive skin. Here's the ingredients list, below. From the ingredients, you can see that this product is very simply formulated, with exactly 10 ingredients altogether. After water, there is PEG-6 Caprylic/Capric Glycerides, which is an emulsifier, as well as emollient. This is the main ingredient that removes your makeup, so here it functions as the main surfactant in this cleansing water. It's quite gentle, so that's a good thing. Then there is Propylene Glycol, a humectant. These two After that there are a bunch of plant-based ingredients and sugars, with various functions - Cucumis Sativus (Cucumber) Fruit Extract is an emollient, Mannitol, Xylitol, Rhamnose and Fructooligosaccharides are all humectants. The last two are functional - Disodium EDTA is a chelating agent. That is, it reacts with trace metal ions, e.g. from hard water, to form compounds that are soluble in water. This means the metal ions aren't free to interact with the other ingredients in the product, because they've already reacted with the chelating agent. In cosmetics, this is useful as it helps to prevent various side effects that can occur as a result of the metal ions interacting with the products, such as a product undergoing discoloration or becoming rancid, and it can also mprove the efficacy of the preservative used. Disodium EDGA is primarily used in neutral to mildly acidic products (alkaline products usually use Tetrasodium EDTA instead). 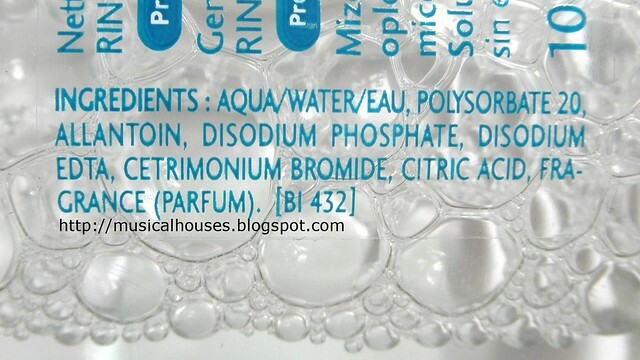 The last ingredient is Cetrimonium Bromide, which has various functions but here is probably a preservative. From that, you can see why the product is so popular - the surfactant isn't harsh and it has various humectants and emollients to ensure your skin is not dried out. In my blind test of 7 different micellar cleanser brands, this was exactly how I found Sensibio to work. Because it's so mild, I also really like it when my skin is feeling sensitive. For me, this works better as a makeup remover than as a cleanser per se, but you could use it either way. 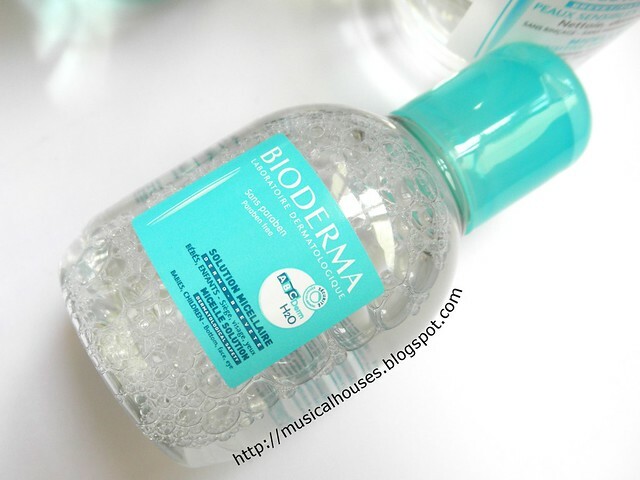 Next, Bioderma Hydrabio, which is meant for sensitive dry skin. How do the ingredients check out? From a glance at the ingredients list below, you can see many of the similar ingredients - you see PEG-6 Caprylic/Capric Glycerides, Rhamnose, Mannitol, Xylitol, Fructooligosaccharides, Propylene Glycol, Cucumis Sativus (Cucumber) Fruit Extract, Disodium EDTA, and Cetrimonium Bromide. So we know the product is pretty similar. The main difference is the inclusion of Glycerin right at the top of the ingredients list (it's second, just after water), which is a humectant, Polysorbate 20 and PEG-40 Hydrogenated Castor Oil, which are both emulsifiers. These are the major changes. Other than that, there is the addition of Pyrus Malus (Apple) Fruit Extract, a skin conditioning agent, Hexyldecanol, an emollient. The functional ingredients are also tweaked - Sodium Hydroxide is a pH adjuster, Citric Acid is probably a pH adjuster. An interesting add-on is Niacinamide, which I do like as a skincare ingredient (it's traditionally found more in anti-aging products, but is also in this product to reduce the appearance of acne scars and marks) but wonder why it is there in such small amounts. There is also Fragrance (Parfum) right at the end of the list. So, how does the Hydrabio compare to the original Sensibio? Well it employs pretty much the same key surfactants and ingredients, so if you did like the original Sensibio, chances are, you'll like Hydrabio too. 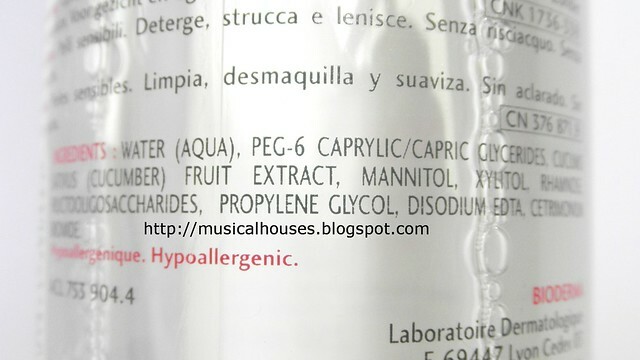 But Hydrabio, as the name suggests, could be better for dry skin with the significant addition of Glycerin. So yes, same great makeup removal, but a bit more gentle. My only gripe would be the perfume - it personally doesn't irritate me, but I can imagine it being a consideration for others with more sensitive skin than I do. After that, let's look at Sebium H2O. This is billed as "purifying" as well, and I suppose it's meant for oily skin. As an aside, I have to say, I find "purifying" a word that always appears on acne or oily skin products, and I always want to roll my eyes at it because it's so vague - purifying my skin of what, exactly? Oil? Bacteria? Dirt? I think it's often used more as an evocative marketing term more than anything else, because this concept of "purifying" skin does not actually exist in scientific literature because it doesn't make sense (although it does exist in spas and the world of aesthetic treatments). If you think about it, technically any cleanser could be purifying, if its intention is just to remove excess oil and dirt. But every brand seems to be billing its oily-skin or acne-skin products as "purifying", probably because consumers feel like all their pimples are the result of "impurities" (again, another very vague word that has no grounding in scientific concepts) that need to be removed. Anyhow, let's look at the ingredients. Again, you can see that the key ingredients that made the original Sensibio so popular and effective also appear here: there's PEG-6 Caprylic/Capric Glycerides, Mannitol, Xylitol, Rhamnose, Fructooligosaccharides, Propylene Glycol, Disodium EDTA, and Cetrimonium Bromide. Citric Acid, which appears in the Hydrabio H2O version, also appears here, as does Fragrance (Parfum). So the differences, by my assessment, are more little tweaks than really functional changes. The main difference is the inclusion of Zinc Gluconate, which can have anti-inflammatory and anti-bacterial effects when used topically, and Copper Sulfate, which could potentially help in wound healing, and Ginkgo Biloba Extract, which could have antioxidant effects. These are probably ingredients that might be useful if you're someone with acne-prone skin, and want to mitigate some of the swelling and bacterial activity that can result. Lastly, there's also the addition of Sodium Citrate, a weak acid that is used to regulate pH as a buffering agent. Incidentally, if you're wondering, the blue colour of Sebium H2O is actually derived from the Copper Sulfate. Remember your school experiments with Copper Sufate (or Cu2SO4 for those of you who still remember chemistry) solution or crystals? They had this really cool blue colour? Yup, that's the source of this shade of blue - obviously it is a very light blue tinge because it's there in very low concentrations. So what does this difference in formulation mean for the end user? Well, again, you get pretty much the same effect as Sensibio in terms of cleansing power and makeup removal, because the same primary ingredients and surfactants are used. But, the little tweaks to include ingredients with potentially anti-inflammatory and anti-bacterial effects would probably be a welcome addition for pimple-prone skin. I'd say this is pretty much similar to the original, just with little tweaks for oily, pimply skin. And lastly, let's look at ABCDerm H2O, which is meant for babies and children. How is it formulated differently to be used on babies and kids? This is probably the most uncomplicated of all the various Bioderm Sensibio variations, with a total of 8 ingredients. 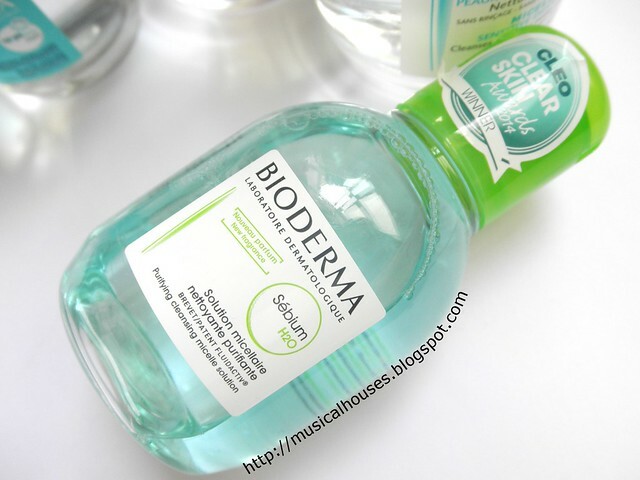 So Bioderma has stripped down the formula to just what works, gently. There's water, and then there's Polysorbate 20, which functions as the main surfactant in this case. It's pretty mild, and milder than the other versions which rely on PEG-6 Caprylic/Capric Glycerides as the main surfactant. Then there's Allantoin, which is often used as a soothing agent due to its anti-inflammatory effects on skin, so it helps to prevent irritation to skin, which is probably useful if you're using it on young kids who have more tender skins. That's actually the bulk of the formula, really! The rest of the ingredients are functional: Disodium Phosphate and Citric Acid are buffering agents used to maintain the pH of a product, Cetrimonium Bromide is the preservative, Disodium EDTA is the chelating agent. 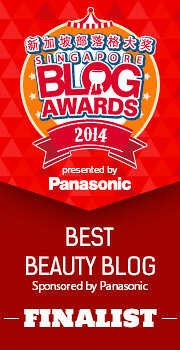 We've seen these in the other Bioderm products reviewed thus far. There's also Fragrance (Parfum), which I guess isn't ideal but probably wouldn't be an issue for most skin types. 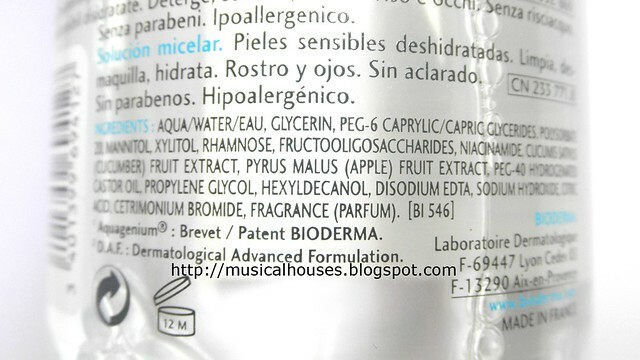 Bioderma ABCDerm H2O ingredients: Water, a gentle surfactant and allantoin consist the bulk of the formula. So, basically this is a water-based cleanser with a very gentle surfactant, and the addition of Allantoin to prevent skin irritation. Can an adult use this? Yes you can, although you might find its cleansing power too little for your needs. Again, my only gripe is with the fragrance - it seems a bit of a waste to go to all the trouble to use gentle surfactants and anti-irritants and then top it off with a fragrance, but unless you (or your kid) has particularly sensitive skin, I imagine most would do fine with it. I mean, some of the more widely-used baby brands (like Johnson's, which my parents used when I was young) seem to have fragrance, so it's by no means an unusual move, although a fragrance-free version would be nice too. 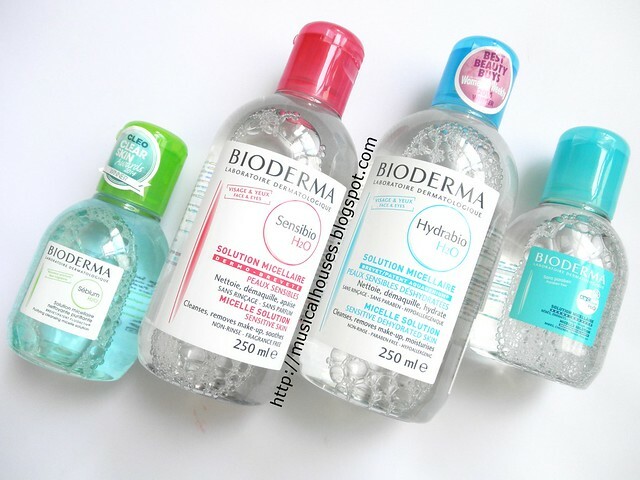 Bioderma Sensibio, Sebium, Hydrabio, ABCDerm Micellar Cleansing Waters: Either way, whichever you pick, you're getting a gentle cleanser that still effectively removes makeup and oil. So all in all, what would my opinion be of the entire Bioderm range - Sensibio, Sebium, Hydrabio, and ABCDerm? I'd say that they do live up to their billing as effective but gentle cleansers/makeup removers, and I think that whichever one you pick, you'll be getting just that - a gentle, effective cleanser that removes makeup, dirt and oil, but doesn't dry your skin out. Your favourite product will probably depend on your skin type, and if you have oily or dry skin, picking the Sebium or Hydrabio H2O might work better for you than the original. But otherwise, if you can't decide, just picking the original will also work, too! The Bottom Line: The Bioderma line of micellar cleansers is a gentle, effective makeup remover/cleanser that doesn't dry out the skin. Little tweaks to the different versions make it suitable for different skin types. Thanks for the comparison! I think I might have to check the Hydrobio one out. How strong is the fragrance in it? Great evaluation. I was wondering if you have any idea sunscreen is only soluble in oil cleanser? And is this cleansing water able to cleanse sunscreen effectively? Thank you in advance! @Amfickleminded: I think it depends on the formulation of your sunscreen, but I'm going to take a stab at generalizing and I'll say that, in general, 1) if you sunscreen is non-waterproof, then you can probably just use your normal face wash, but if you have waterproof sunscreen on you might want to use an oil-based cleanser to be safe, and 2) if your sunscreen is oil-based, then you would probably find it easier to remove it fully with an oil-based cleanser. For the Bioderma cleansing waters though, I'd say that while they remove makeup quite well (including my waterproof stuff), I would usually use an oil-based cleanser just for a peace of mind. But if it can remove my waterproof makeup, then I imagine it should be able to remove sunscreen too. Hope this helps! Thanks for this run-down - I think you made me finally understand what a micelle is (and I've been trying to grasp it for ages)! I've got dry skin and love how gentle the Hydrabio is - it's so effective but doesn't make my skin feel tight or 'thirsty' afterwards. 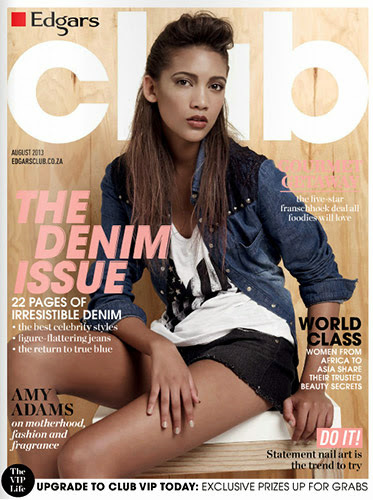 Wow, awesome article! Thank you for explaining all this! I'm always disappointed when potentially good products, especially for sensitive skin, are ruined with fragrance. Thanks for the analysis, very interesting! 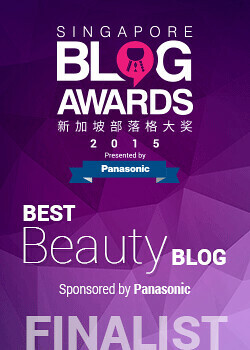 I've been using Sensibio for some time, but it irritated my skin too. I have to rinse my face with water aterwards, then it's ok. I was wondering if hydrabio would be more fitting for my skin, but, then again, it contains frangrance, which could be problematic. Thanks for the review. But i have an issue about the packaging. Anyone got the problem with the bottle packging. After using this for a while, i noticed the font text on the bottle got peeled off?